Nikon has a new lens for DX-format DSLR owners who want to replace their 18-55mm kit lens with a more versatile, longer zoom. The new AF-S DX Nikkor 18-140mm f/3.5-5.6G ED VR zoom fills the gap between the standard 18-55mm VR kit lens and the bigger, more expensive 18-200mm VR II zoom. The 7.8x zoom range covers everything from wide-angle to telephoto, making the AF-S DX Nikkor 18-140mm f/3.5-5.6G ED VR zoom a great step-up lens for photographers on a budget or people who only want to carry one lens. The AF-S DX Nikkor 18-140mm f/3.5-5.6G ED VR zoom has an equivalent focal length of 27-210mm, making it perfect for travelers, backpackers or anyone who wants a simple, compact do-it-all camera kit. The Silent Wave Motor means fast, accurate, quiet auto focus; and the Vibration Reduction (VR) system offers four stops of camera shake compensation, making it great for low light and telephoto shooting. Optically, the lens has one ED element, one aspherical element and a 7-bladed aperture for smooth, natural out-of-focus image quality. 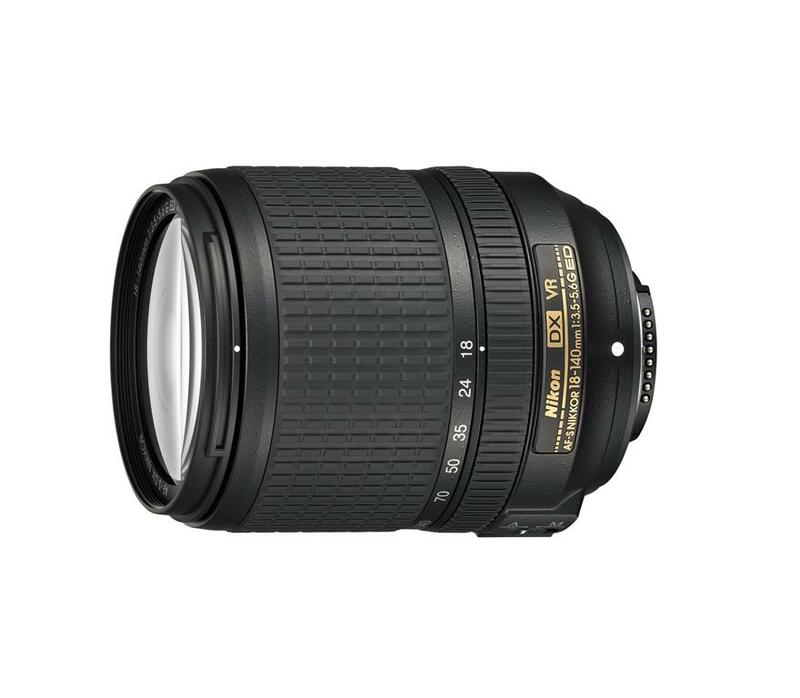 The new Nikon AF-S DX Nikkor 18-140mm f/3.5-5.6G ED VR zoom lens should be available toward the end of this month (August, 2013). The suggested retail price is US $599.95. 1. It’s a mid-price upgrade to the 18-55 kit lens, a cheaper alternative to the 18-200. But if so, why do Nikon talk about the sharpness of the lens? 2. It’s the future kit lens for the D400. Nikon brought out the 18-200 for the D200 and the 16-85 for the D300. But if so why doesn’t it go down to 16mm (=24mm in FX) the way most professional lenses do nowadays? 3. It’s a revision of the 18-200 philosophy now that DX cameras have 24MPix. The 18-200 has lots of compromises to give it such I big zoom range. I figure this lens will be sharper and have less distortion than the 18-200 (like the 16-85). And if you need a 200mm view – well you can always crop the 24Mpix image and maybe get a better result than if you’d used the 18-200. I’m hoping it’s number 3). I’m interested.. Thanks for the astute analysis, Franglais. I don’t see the 18-140mm as a kit lens for a future D400. I think the slow, variable aperture rules that out. I see it as Nikon matching the competition, all of whom have an 18-135mm crop-sensor zoom lens. Also, you don’t necessarily get a better result by cropping. That depends on how you define, “better.” Cropping can get the job done and may deliver better image quality, sometimes. However, it removes the optical effects you get from a longer focal length – one of the main things I’m looking for with longer lenses. So I don’t think the 18-140mm zoom is really a good replacement for the 18-200mm VR. It’s definitely a smaller, light, less expensive alternative, though. And I’ve found the competition’s 18-135mm zoom lenses to be very useful and versatile. I think it’s a good addition to the Nikkor DX zoom lineup.